Now, Rehder is sponsoring a bill to make it harder for addicts to obtain drugs in Missouri. Because it’s the only state that does not yet have a database, Missouri has become a magnet for those seeking drugs from out of state. Both law enforcement and pharmacists struggle to contain the problem and say a monitoring program would help. “We‘ve become an attractive marketplace for those who are seeking to get drugs,” says Scott Collier diversion program manager of the Drug Enforcement Agency’s St. Louis Division. He says the agency often hears from from pharmacists reporting suspicious activities, including van-loads of people showing up carrying multiple prescriptions from an out-of-state physician. Missouri Pharmacy Association President Erica Hopkins-Wadlow says many pharmacists work hard to prevent this kind of prescription drug abuse. “Who [else] is going to do it?” she asked, adding that law enforcement only gets involved after something had already happened – abuse or even an overdose. During her workday as a pharmacist in Columbia, Mo., Hopkins-Wadlow checks insurance databases, calls hospital emergency departments, and even reports suspicious activities to law enforcement. It would be easier, she says, for her to consult a single database. This is the third year in a row Rehder has tried to get a prescription drug monitoring bill passed. Previous attempts to pass prescription drug monitoring legislations have been blocked in the Senate over concerns about storing private information. This year that chamber has already passed its own version of the bill. According to a study from the Trust for America’s Health, Missouri has the seventh highest drug overdose rate in the county. 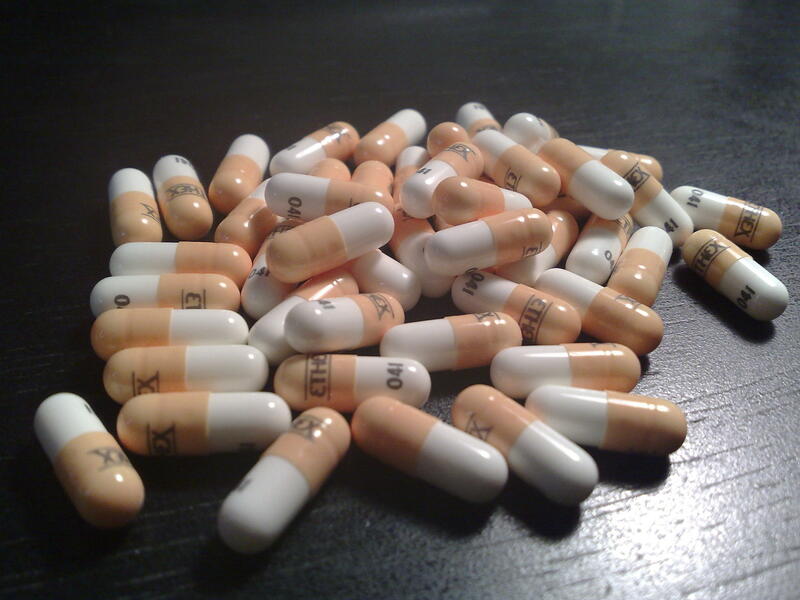 Most of those deaths stem from prescription drug abuse. The same report gave Missouri’s addiction prevention strategies only 3 stars out of 10 – tied with Nebraska for next to last in the country. Only South Dakota fared worse. Other states started prescription drug monitoring programs as early as 2002 when the federal government started offering funding for them. Since then, there have been some promising results. In 2012 New York began requiring its prescribers to check the state’s database before prescribing painkillers, and in 2013 the state saw a 75 percent drop in patients seeking the same drug from multiple prescribers. Tennessee saw a 36 percent reduction in doctor shopping after implementing its prescription drug monitoring program in 2012. Missouri’s law would be different from other states. In most other states, pharmacists or doctors can check the database directly. But in an effort to protect patient privacy, Missouri’s legislation would restrict access to a database to only the state’s Department of Health and Senior Services. Pain management physicians would be required to send the State information on prescriptions they’ve written for controlled substances using encrypted messages. Pharmacists would also submit information to the State before filling a prescription. The Department of Health and Senior Services would be responsible for sending a message to the pharmacists detailing whether or not there is a concern about filling the prescription. Rheder is concerned about the feasibility and cost of implementing such a complex program, but she hopes to work out a solution in the House before the Missouri legislative session ends on May 15. For pharmacist Hopkins-Wadlow, it can’t come soon enough. For now, she puts in extra effort to prevent addicts from obtaining pills, not because the law requires it, but because her conscience does. “At the end of the day I have to feel okay with going to sleep at night,” she says.